A well balanced caramel and espresso infusion. Got this for my husband and he loves it. Smells great! Good value! I wanted to like this. I did... But it's missing the coffee notes from a good Macchiato. I drink them everyday! The caramel is nice, the cream is nice, the coffee is missing entirely. Just a slight coffee note would have been great. So far this has been my favorite coffee flavor!!! If you are wanting coffee flavor... it's a must! Best Burnt Popcorn® you can get. IT TASTE LIKE BURNT POPCORN I SAID! My positive review of another flavor is still up. You, Budget Vapor have lost my respect. I will be checking for negative comments, and encouraging others to post their negative experiences. Honesty is the best policy. I loved every other flavor I bought. 9 bottles so far. That's a pretty good ratio. So, sadly, i am only able to give this juice a 3 star rating. I have tried this juice through 3 different tanks, and 6 different RDA's, all different styles of builds. The downside to this juice for me personally, is that no matter what setup i run it in, i barely taste the Caramel, i can't taste any of the creamy smooth flavor that should be there due to the steamed milk part of the actual beverage. It does however, ring really clear with the flavor of the espresso, so much that the after taste i experience reminds me of when i was in college, and would eat Chocolate covered coffee bean....Specifically the Colombian Dark roast coated with a very rich dark chocolate. The chocolate is the other part that confused me when I was trying to get it to taste like the hot beverage I had in front of me: Possibly the baristas this far north make it differently, but they don't add chocolate sprinkles unless specifically requested. It could in fact be my mind just associating the coffee bean aftertaste with a phantom chocolate as well. That is a very real possibility. So to close my comments here, I would have given it a 2 star rating, except I split the bottle and mixed it with a Caramel Pound Cake juice, and it is enjoyable for me. So, not a waste of money, but a little more time invested into getting a good flavor for myself to enjoy. 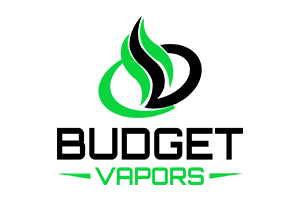 Great flavor, great aroma, great vapor, great price! I love it my favorite by far!! If you love coffe this is the thing for you!! It's amazing! Juice is great! Tastes awesome and even mixes well with some of my fruitier stuff! Love it!!! I love my coffee vapes and I have to say this one is my favorite It use to be a Carmel Frapp from Juicy Roll Upz but this one has taken 1st place.